It’s in the Fifties that Aldo Losa, after years of professional experience in the sector, decided to set up his own coffee company in Milan. This was the beginning of a long period of travel and experimentation, in pursuit of the best coffee blends and the most prestigious origins. This is how an accurate selection of the best qualities of Arabica and Robusta from Brazil, Costa Rica, Nicaragua, Guatemala and India starts. The watchword handed down from father to son in the Losa family seems to be “never give yourself satisfied” and so, in the 1990s, the activity started by Aldo turns into the Losa Cafè. 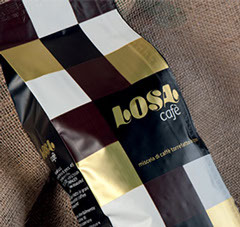 From the selection of the bean to blending, grinding, moisture-controlling, maintenance of coffee machines down to the competence of barmen: the choice of Paolo Losa, son of the founder, is still to follow personally of all of these aspects capable of making Losa Café a unique company which stands out on the market for the excellence of its coffee. Coffee-roasting lies at the heart of the company. Here perfectly-balanced blends are produced which have never changed over time. Those who get into the coffee-roasting plant are inebriated by the sweet, delicate aroma of those perfect compositions – just the same as 60 years ago – they were born from the experience, passion and talent of Aldo Losa. The balancing of blends and the traditional system of separate coffee-roasting whereby roasting times change for the different sorts of coffee ensure an excellent balance of the end product: a full-bodied, pleasant coffee. Great care is also given to packaging methods which must always preserve the organoleptic qualities and the integrity of coffee. The company prefers to produce paper pods as plastic, besides impacting on the environment, modifies the product taste. Our quality is based on the selection of raw materials: coffee beans and their origins. The beans giving life to our blends are only from the most valuable coffee plantations in Brazil, Costa Rica, Nicaragua, Guatemala and India. Being a mid-sized company allows us to go on using the best traditional methods, like separate roasting – without this artisanal processing it would be impossible to obtain such excellent results. 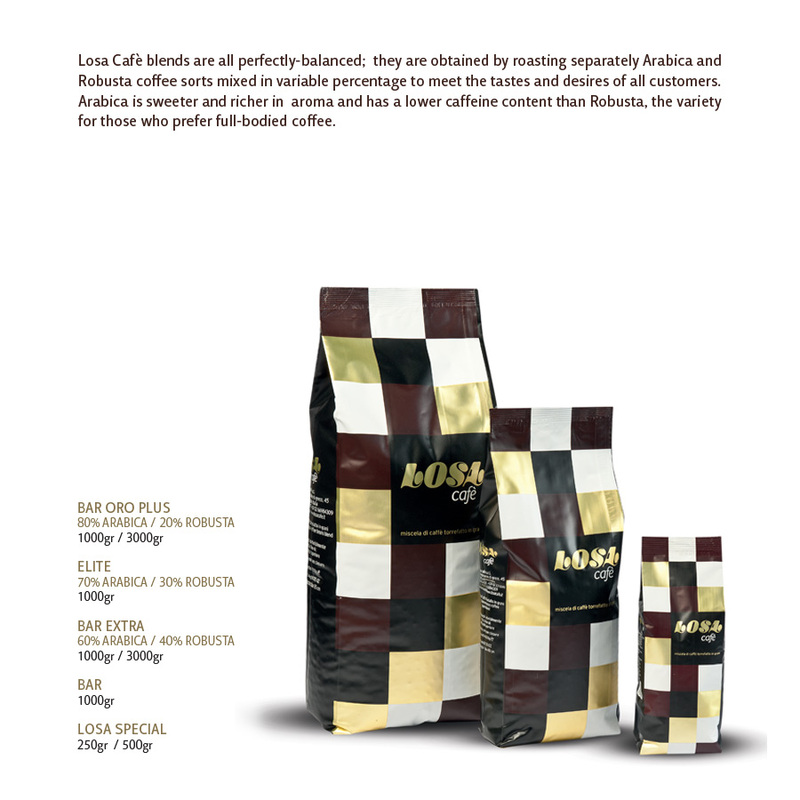 Losa Cafè proposes a selection of the best blends to its customers and, on the top of that, thanks to separate roasting, it is also possible to create customized blends because your desires lie at the center of our processing. 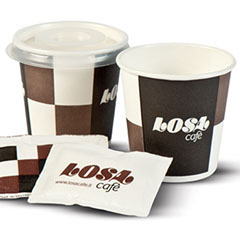 We propose to our customers a range of Losa-branded products with distribution along different channels: from cafeterias to vending, blends and home pods. Losa Cafè proposes to its customers not only an excellent end product but also a complete service made of constant consultancy, updating and training for those who wish to fine-tune the art of coffee. 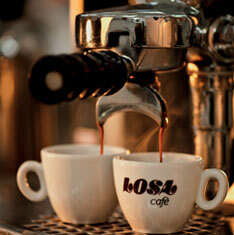 Paolo Losa meets his customers personally to consolidate a professional relationship based on cooperation and trust that only a small and yet sound company like Losa Cafè can offer. 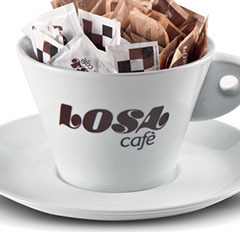 From distribution to coffee shops and vending to blends and pods for home use – with Losa Café the final result will always be the same – an excellent coffee! COSTUMIZED SERVICE FOR YOUR SECTOR AND CUSTOMERS. AS WE PAY GREAT ATTENTION TO LOGISTICS. THAT ARE INTERESTING TO OUR CUSTOMERS. CUSTOMERS LIE ALWAYS AT THE CENTER. OF PROBLEM TOGETHER WITH YOU. © 2015 copyright by Losa Cafè All rights reserved.